Last week, I predicted a Jordan Choukair field goal in the closing seconds would provide the winning points in a 33-31 win for Oregon State over Nevada. I had the scenario set up right, at least. The Beavers got Choukair into position to do it just as I envisioned, but the junior place-kicker was wide left from 34 yards in a 37-35 loss to the Wolf Pack. This week's matchup with Arizona in the teams' Pac-12 opener at Reser Stadium could be a shootout as well. The Wildcats piled up 26 first downs and 626 yards total offense in a 62-31 rout of Southern Utah last Saturday. That provides a good comparison with Oregon State, which rolled to a 38-0 second-quarter lead en route to a 48-25 win over the FCS-level Thunderbirds the previous weekend. 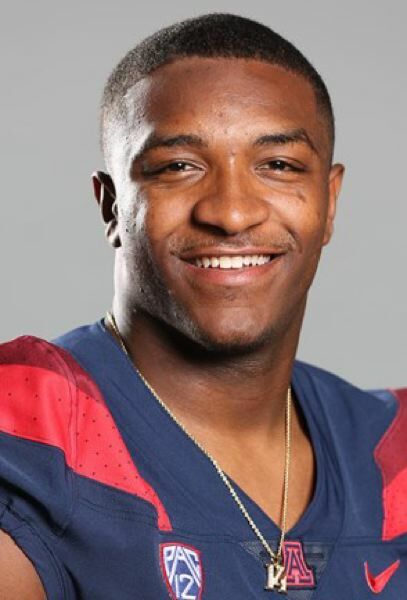 Junior Khalil Tate passed for a career-high 349 yards and five TDs for the Wildcats, who were tied 17-17 with Southern Utah until the final seconds of the first half. The Thunderbirds amassed 30 first downs and 463 yards total offense, so it wasn't as if Arizona's defense shut them down. Oregon State's defense came to life after a shoddy start against Nevada, holding the Wolf Pack to eight first downs and 175 yards total offense over the final three quarters. The OSU defense will have to defend Tate better than it did last November in Tucson, when the 6-2, 215-pound quicksilver rushed for 206 yards and two scores in a 49-28 victory. Tate ran only four times for 22 yards against Southern Utah, but he passed the Thunderbirds dizzy. If it's pick your poison, the Beavers would rather contain Tate's legs and make him beat them through the air. As evidenced by his performance against Southern Utah, he can do the latter, too. Presumably, it will be sophomore Conor Blount at quarterback for the Beavers, with Jake Luton unlikely to play due to an ankle injury suffered in the fourth quarter at Reno. Blount will need to mount an aerial attack with receivers Isaiah Hodgins, Timmy Hernandez and Trevon Bradford, the latter likely to return after missing the Nevada game with a shoulder injury. If the Beavers can move the ball via the pass, that opens the running game for true freshman Jermar Jefferson, who remains the Pac-12 rushing leader (by a large margin) with 391 yards and six TDs through three games. Arizona, 1-2 after opening the season with losses to Brigham Young and Houston, might be Oregon State's best chance for a win through the conference portion of the season. The Beavers should be able to move the ball on the ground and score points against the Wildcats. Containing Tate and winning the line of scrimmage on the defensive side are the bigger concerns for the local eleven. This one shouldn't be a blowout, but I don't see it coming down to a final kick. The Beavers have a fighting chance, but putting a lock on Tate will be too much of a challenge for the OSU defense, improved or not.